Product prices and availability are accurate as of 2019-04-10 19:13:40 EDT and are subject to change. Any price and availability information displayed on http://www.amazon.com/ at the time of purchase will apply to the purchase of this product. Nothing adds flavour to cooked dishes and salads so simply as freshly picked herbs from your garden. 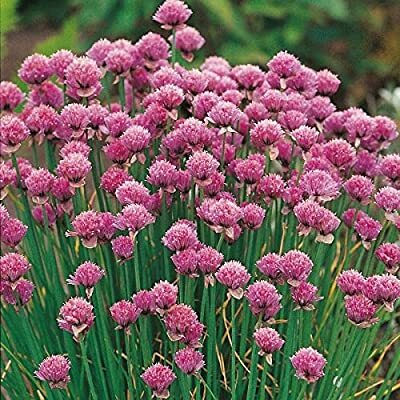 Chives have a mild onion flavour in both the leaves and the edible flowers, making it one of the most popular of herbs. Cut leaves about 2cm from ground level. It grows to a height of about 30cm (12"). It can be added to salads, cooked dishes or potato salads to add a mild onion flavoured edge.